Eating “Paleo,” as those who follow the paleo diet call it, is pretty much an exercise in being a cavewoman. Well, minus the living in a cave and hunting down your own food (that’s what Trader Joe’s is for!). Instead, you eat like our ancestors did—clean, unprocessed foods that you find in the great outdoors. While anything with the word “diet” in it, makes us twitch our fit bottoms in disgruntlement, going paleo is really more of a lifestyle than a fad diet. While I live by the eating motto “all good things in moderation,” as my healthy eating and fitness have been evolving (evolving, get it? Ha! ), I will say that I’ve gone towards more of a Paleo way of eating of late. I rarely have dairy, I’m getting the majority of my carbs from fruits and starchier veggies, and I am eating free-range and natural meat when I can. Again, I’m not perfect, and I still get my wine and protein bars in regularly, but I see how this diet can make sense. 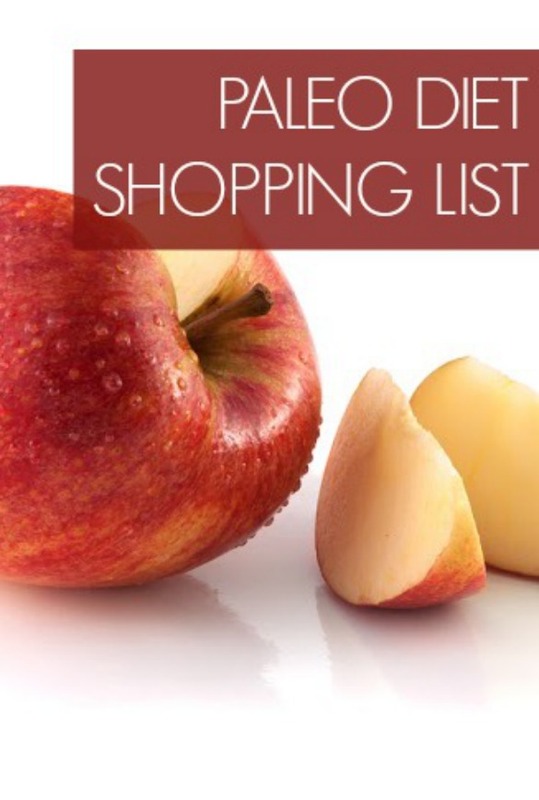 If you’d like to incorporate more paleo diet foods in your meals, read on for 10 items to throw in your grocery shopping cart! 1. Nuts. Any and all varieties! 2. Eggs. Scrambled, poached, over easy…the eggtastic fun doesn’t stop! 3. Fresh herbs and spices. Eating paleo is a foodie’s dream with fresh herbs and spices to season things up. 4. Wild fish. With so many fishy varieties — each with different health benefits — it’s hard to get bored with this protein. 5. Fruit. From berries to melons to apples and pears, it’s delish! 6. Mushrooms. High in selenium, ‘shrooms of all varieties fill your belly with nutrition! 7. Green leafy veggies. Paleos stock up on kale, spinach, argula and other dark leafy greens to help get calcium and iron. 8. Root veggies. Because grains aren’t a part of the Paleo Diet, most carbs come from root vegetables like carrots, sweet potatoes, artichokes and beets. 9. Fats. Yummy, yummy fats! On the Paleo Diet you get plenty of avocado, nut oils and coconut to keep you satiated. 10. Meat. I’m a big fan of bison, but really any animal protein will work. Try to get it grass-fed and without the hormones if you can. My hub and I are pretty much Paleo, of late – and it’s not bad! Thankfully, wine and tequila make the ‘ok’ list, so that’s what gets me through – wine and dark chocolate with almond butter! We’re not strict or anything, but it makes a noticeable difference when training… and in the looks department, it pays off to be strict with it! I do miss Greek yogurt though, so it’s an occasional ‘splurge’! Been eating this way as much as I can for about a year or so now, and it really makes a difference, especially with regards to weight loss. While we all know exercise is great, eating Paleo in and of itself will help you drop pounds! I’ve been following a Paleo diet/lifestyle for about two years and I’ve never been healthier or happier. It’s the only way of eating that has let me completely let go of my preoccupation with food and really focus on fueling my body with high quality veggies and protein. There are so many amazing things to eat and experiment with that I don’t miss grains at all! For reals, yo. I’ve only just started eating Paleo, and I took it up as part of a challenge, but to tell the truth… I’ve been doing it for a week and a half, and I’ve never had this much energy IN MY LIFE. I’m actually waking up earlier, and I WANT to go to the gym, instead of just wanting to go to my exercise classes. Something tells me that I’m going to try to keep this up much longer than the challenge dictates. I’ve never even THOUGHT about a piece of bread, although I will admit, I do miss rice. Pasta, on the other hand, I don’t miss at all. Thanks for the Paleo tips, Jenn! With the Paleo diet are you following more of a 5 meal a day snack schedule, or are you able to maintain 3 meals daily? I could see myself having trouble, especially in the middle of the day with this type of “quest” because I wouldn’t know what to do for lunch during work, etc. I eat a Paleo Diet for the most part after being a strict vegetarian for 17 years. I was diagnosed with severe anemia and no matter how many vegetarian iron supplements and digestive enzymes I took, I could not reverse my condition until I started to include meat back into my diet. I became acutely aware of the fact that I was celiac and could not absorb many of the nutrients I was ingesting. I simply cannot digest most grain, legumes and beans. The Paleo diet has been revolutionary in my life! Thanks for sharing this info Jenn! I’m pretty sure my paleo ancestors were strictly gatherers as I cannot bring myself to eat animal flesh. They may have gathered in some eggs though, as I will eat those. Don’t drink milk or use butter, but boy is regular cheese hard to give up. I love paleo. i started paleo as part of a weight loss program when i weight 275lbs and watched 30lbs drop off without any exercise in about a month. i was full all the time with no cravings and no hypoglycemic spells. my joints stopped aching, my bowels worked unbelievably well and I had tons of energy. when i added exercise, the weight just peeled off and i had the energy to exercise. it was unbelievable and i went in to this as a sceptic. i’m a doctor and the idea of eating meat-meat-meat really bothered me as we advocate a diet high in fruit and veg so it was a real eye opener how well i felt. the interesting thing was by cutting out my carbs, i ate more fruit and veges and had a more balanced diet…i highly recommend paleo. There is a lot of good info at http://paleoaholic.com they have recipes, shopping lists, and everything. I have been eating Paleo since May 1, 2014. I’ve lost 17 pounds, have more energy, have no aches and pains, sleep like a baby, and think more clearly. AND I’m not hungry because I can eat anytime I want and have LOTS to choose from. I am 58 years old and have suffered with overweight/obesity off and on for many years. I have seen Dr.s through the years about my aching joints. Constipation was an ongoing issue. Paleo eating has transformed me. Wow there are some super inspiring comments on here! 🙂 I started paleo around early November last year, which was 3 months ago. It was dumb to start right before the holidays! I have a chocolate problem… But I was doing well for awhile and I noticed a major difference in my every and health too. I also dropped about 5 pounds and people were commenting how I had lost weight. My tightest pants were getting loose. I was not trying to lose weight, I am a tiny person 5’0″ and normal weight, so losing weight sort of freaked me out about it! But I am definitely getting back into it again now! It was already making such a huge difference! Also I had candida and it really helped me to get rid of it.